These superhero costume ideas will come to the rescue to save the day. Save your child’s day from boredom with some cool superhero costume ideas. Need to spark some fun on a rainy afternoon? Have a little one that’s feeling sick? Never fear – these superhero costume ideas a here! Superhero costumes are all the rage every year, now that we’ve had so many superhero movies. It’s not just kids that love superheroes either! What if you want to do your superhero thing, but not in a full superhero character costume? 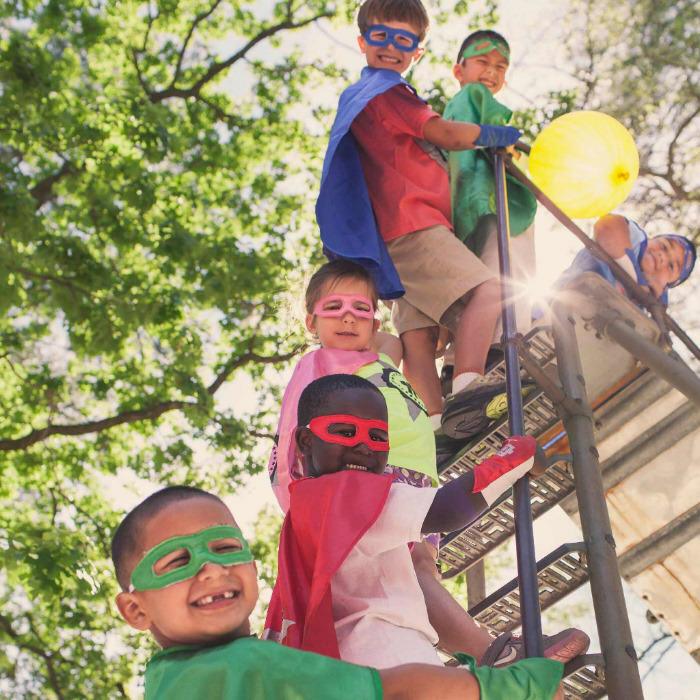 Unleash your biggest (and most fun) superpower – your imagination – with these superhero costumes. 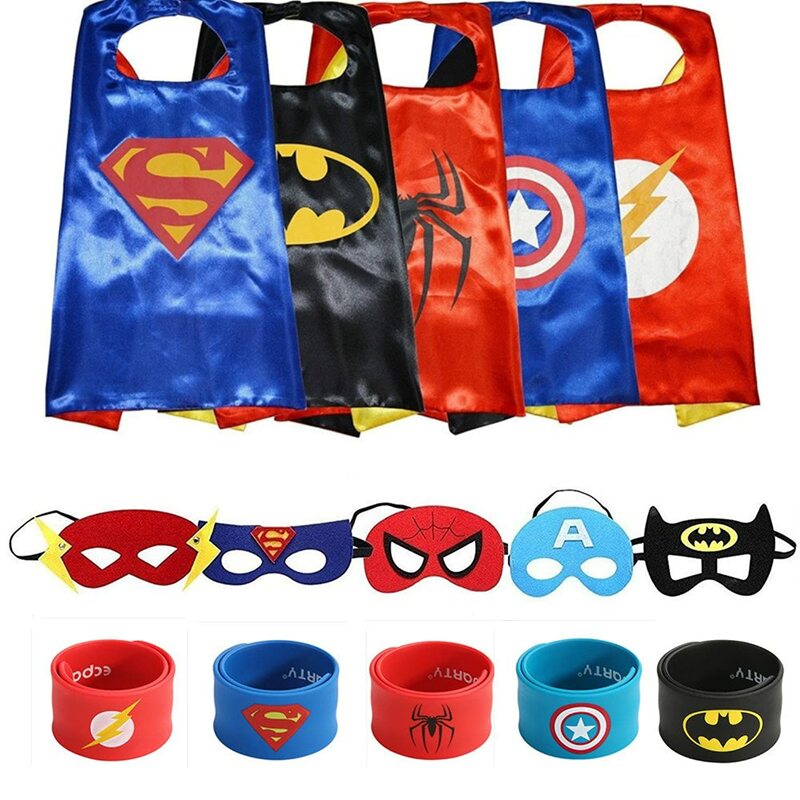 Most include the cape, wrist bands and eye masks. Can you believe that? I found the most adorable superhero costume ideas! They come in youth and adult sizes and I see SO many possibilities for these! 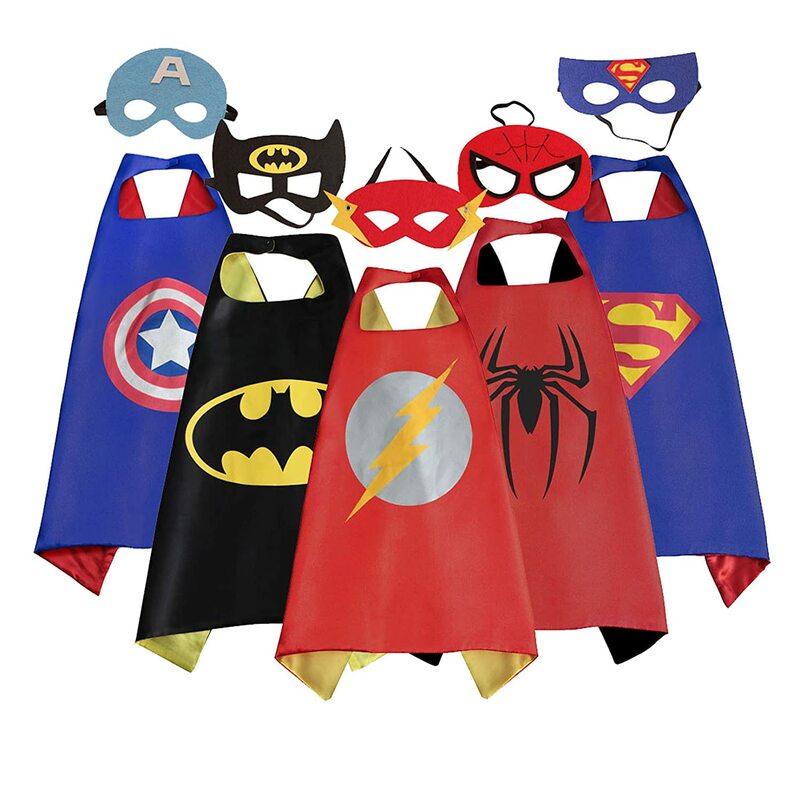 Imagine having a special treat like these superhero costumes for the kids at summer camp, school classroom parties, Sunday School or even birthday parties. They’ll be flying with joy! Use the initials for the school or camp initials. So many possibilities! Want more power? 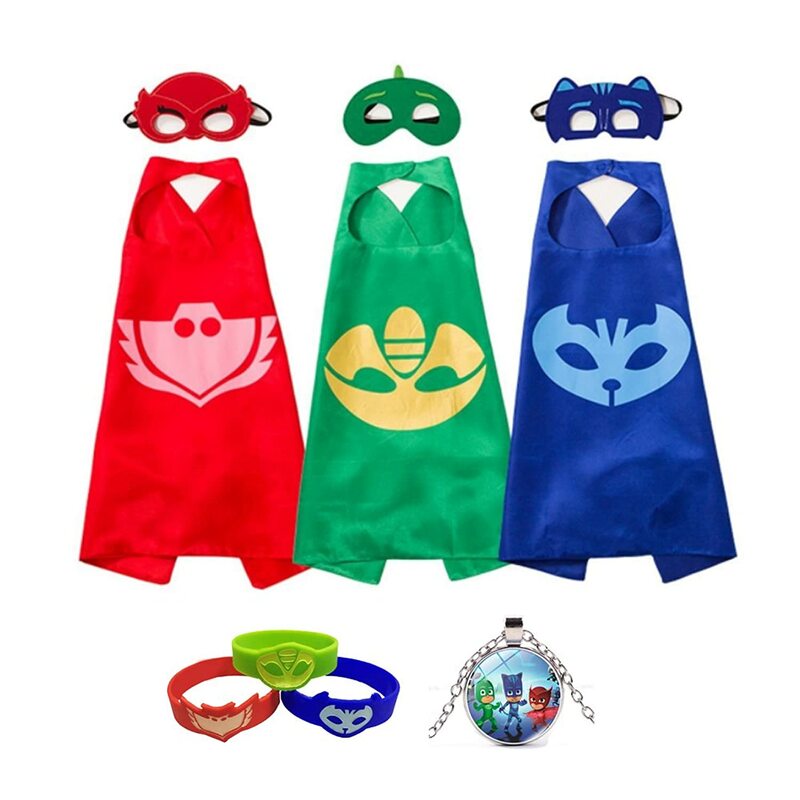 Customize your superhero costume with up to 3 initials on the cape and choose from 53 different symbols for the cape and the wrist bands! There are 8 colors to choose from, too. 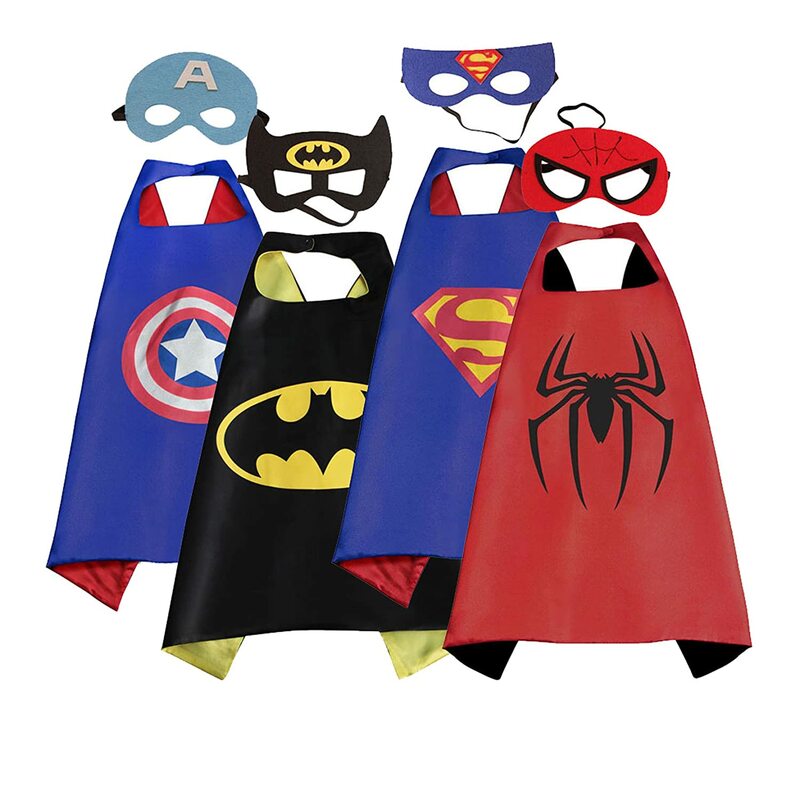 Adults can get into the superhero business with a fabulous superhero costume from Zazzle too. Aren’t these perfect for an office party? Answer the door on Halloween night in one of these costumes and watch the smiles break out on your doorstep! 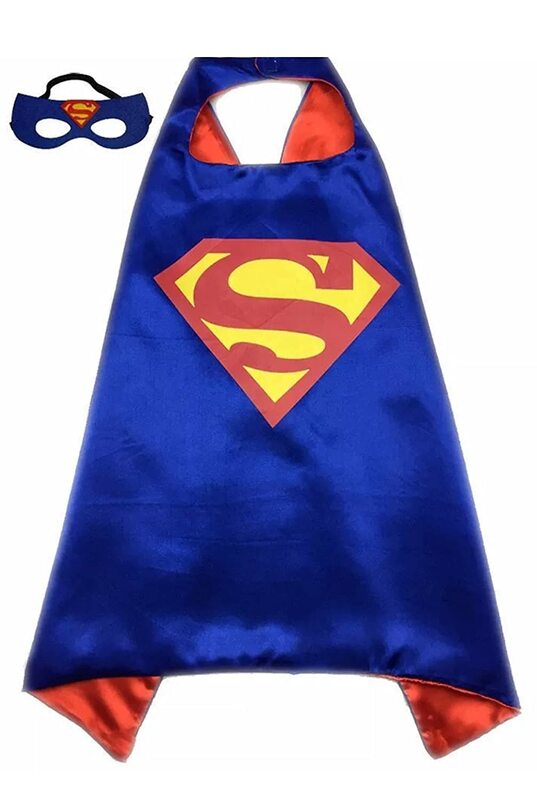 Not only that, but for those who enjoy visiting kids in hospitals, these superhero costumes are ideal and sure to bring big smiles from the kids. 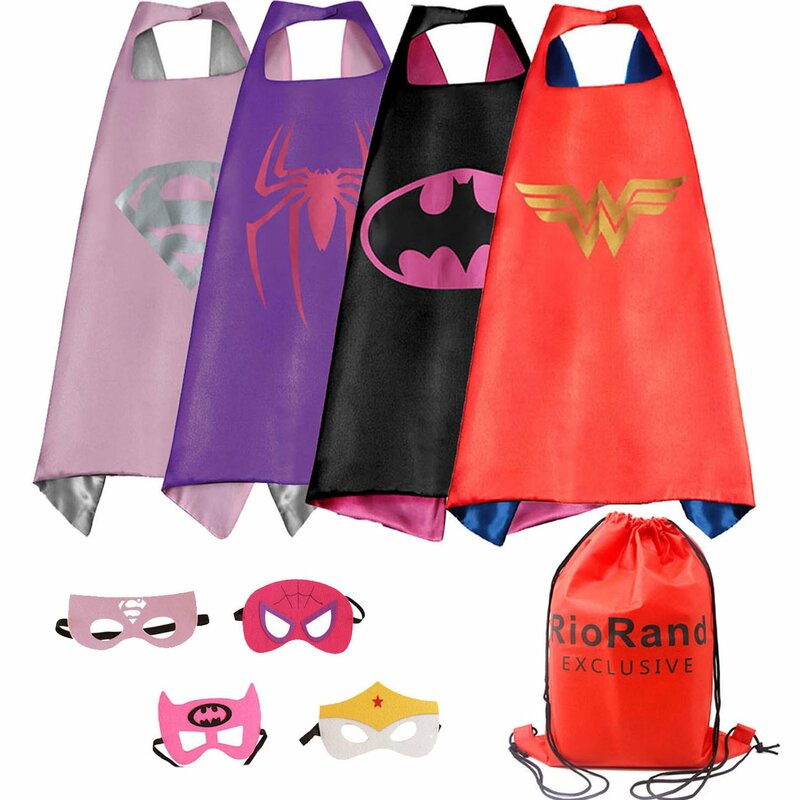 Charity events, picnics and festivals ~ there’s no end to the possibilities for these superhero costumes! Don’t Forget The Temporary Tattoos! Perfect for parties and special events, temporary tattoos will be a super hit with the kids! These fabulous full color temporary tattoos come off in a few days or you can wipe them off with baby oil. Have some extra fun with these temporary tattoos by customizing them! The temporary tattoos come in sheets and are printed in a mirror image. When you put them on, they’ll show up correctly.